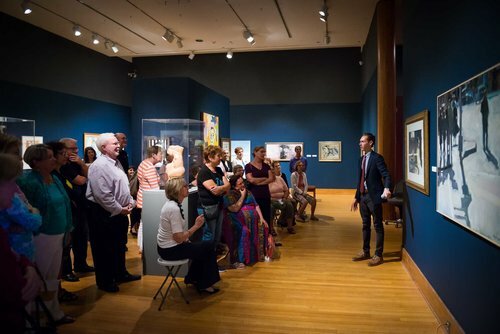 Join Dr. Alex Rich, Curator and Director of Galleries & Exhibitions, each month for an in-depth guided walk through in the museum galleries, where he will provide art historical and curatorial insight as he tours visitors through one of our current exhibitions. The Polk Museum of Art will be open until 8 p.m. on the first Thursday of every month. Registration is not necessary but appreciated - click here.